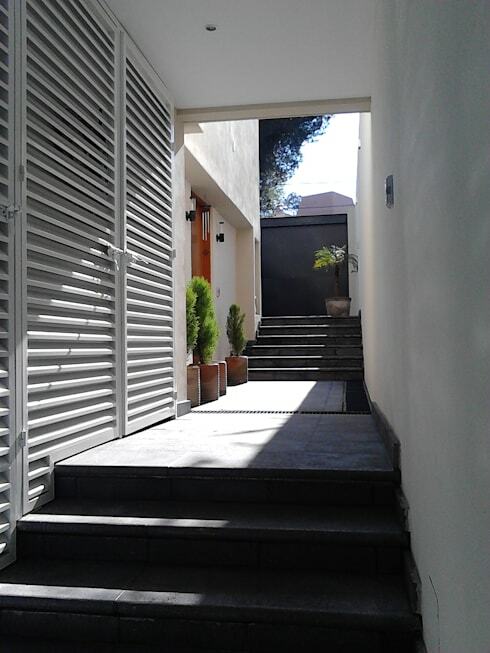 The front passage outside your home doesn't need to be mundane or ordinary. 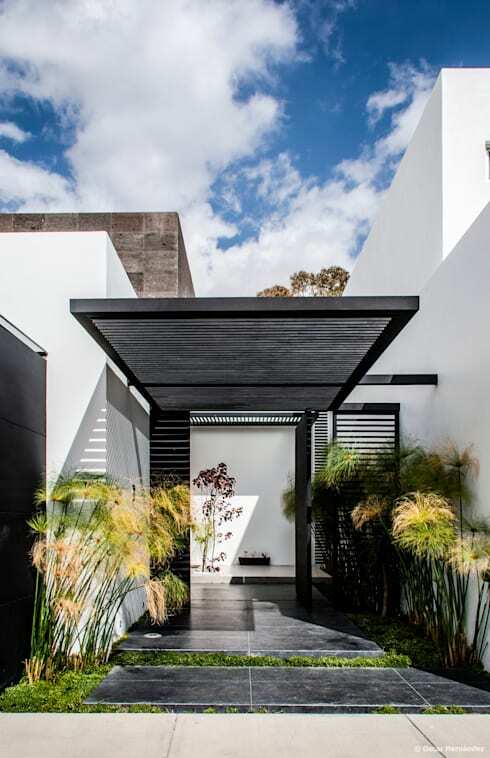 It may be a fantastic decor element that can instantly upgrade your exterior in chic style or a pretty garden may incorporate a simple modern feature to enhance that hint of charm already present in your design. Our team of professionals at homify have included only the most attractive and elegant ideas in this article and we cannot wait to inspire your imagination with creativity! Let's take a look! 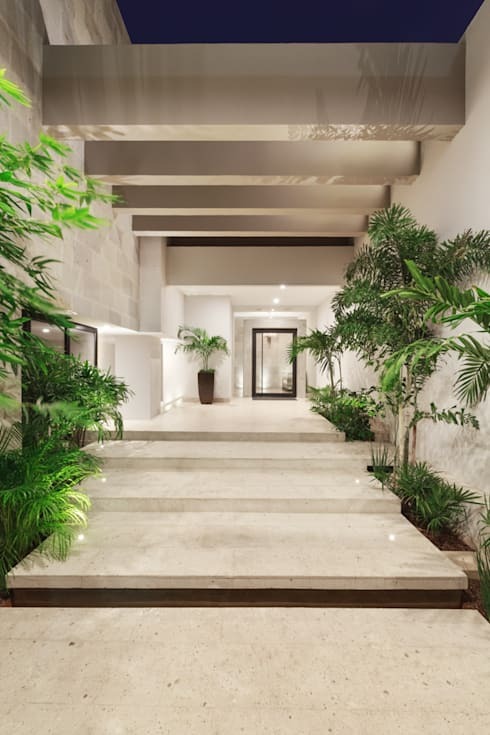 A simple entrance can instantly be sophisticated with some marble, but it's important to consider your budget before beginning with any major upgrade or renovation. If marble is out of your price range, then ceramics can be a similar touch of decor. 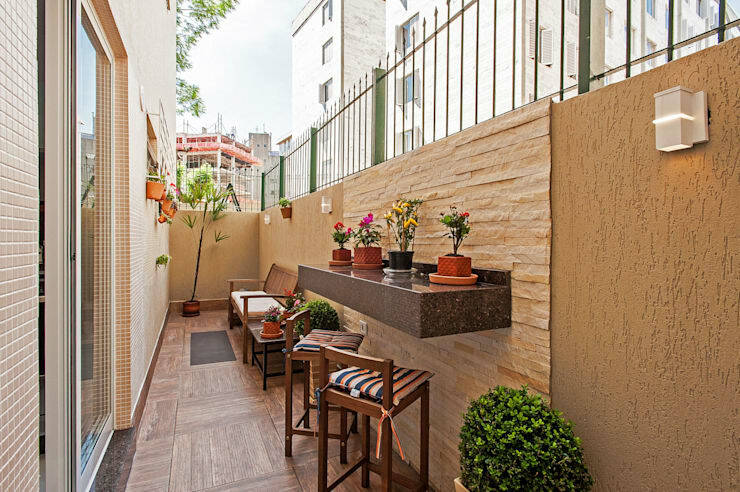 A spacious balcony will be stunning when decorated with comfort and cosiness in mind. So how about a sunbed to make the most of that glorious afternoon relaxation. 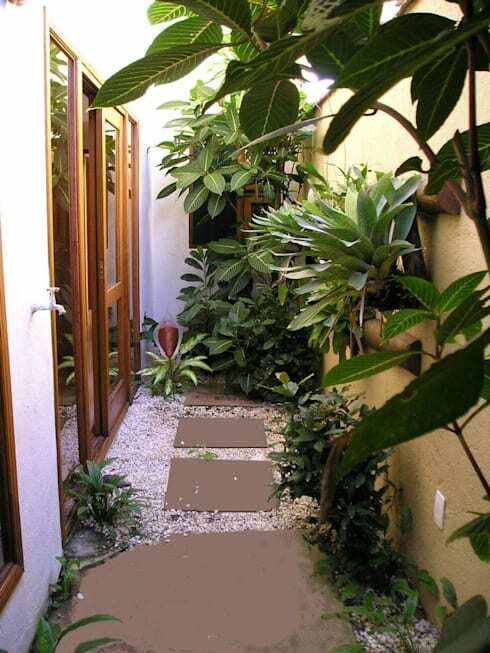 Greenery and plant life will instantly upgrade your front passage. Wouldn't you want your loved ones to be astounded by the sweet smelling scent of blooms as they enter your home? 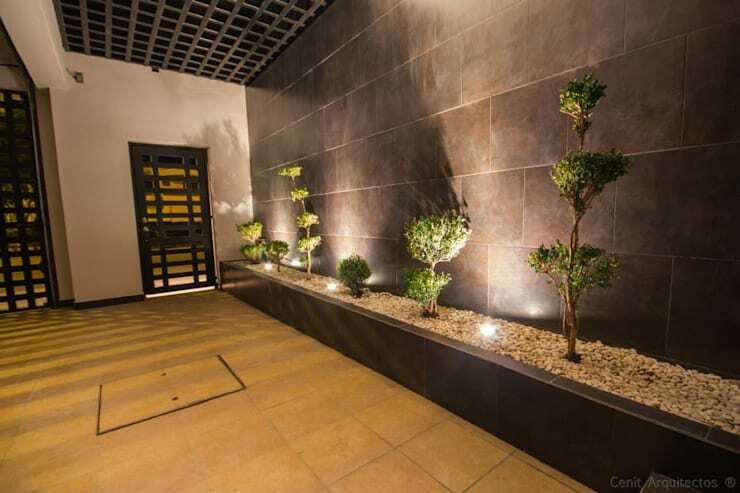 If the pathway to your home is quite extensive, then let some stunning ornamental plants lead the way to the modern main door, while lovely illumination lines the space too. Your entrance may be completely uncovered, so how about taking advantage of that with fresh flowers in a striking colour scheme. Exude warmth with a simple Al fresco dining area in a small space. 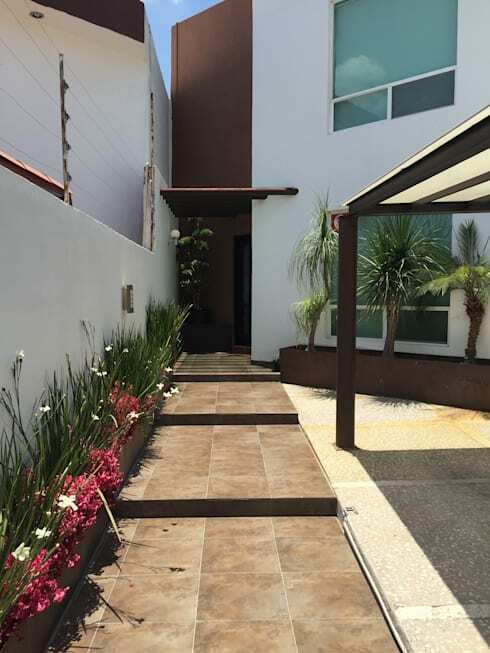 A partial roof will ensure that your guests are never out in the rain as they wait for you to open the front door. Decorate your doorway with pretty planters acting as a garden to revitalise the decor. 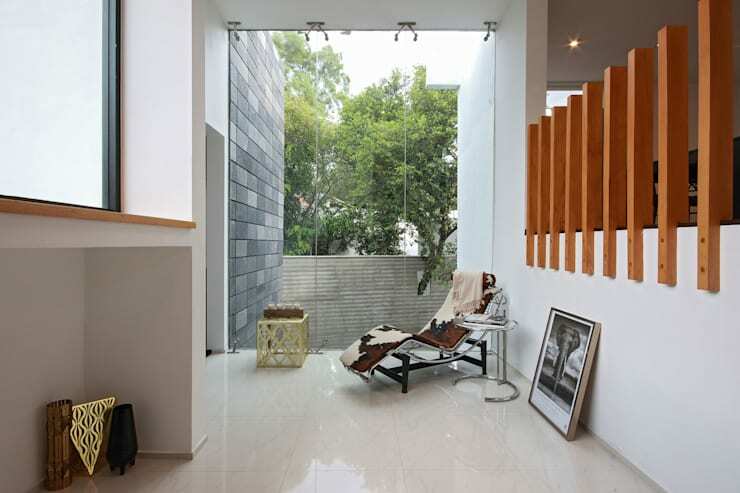 A clean and all-white entrance is a fascinating and striking idea to decorate your home. 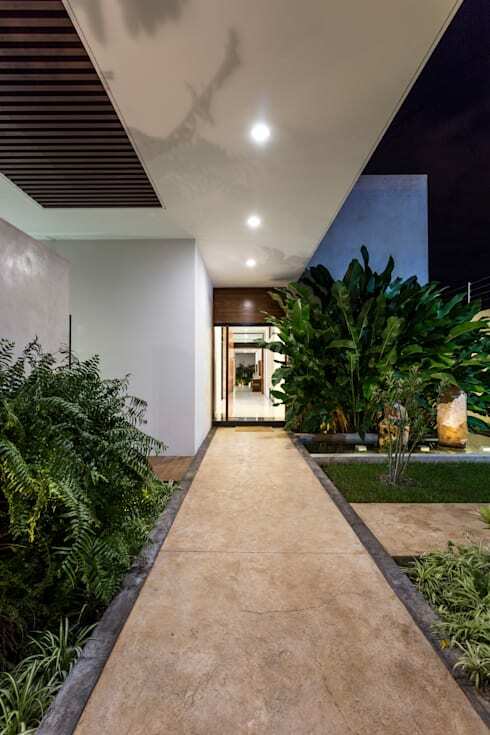 The pergola is an essential feature, while the greenery and lighting surely makes this home even more eye-catching. In this image, we see just how amazing a pergola would be to protect you and your guests from the harsh midday sun and sudden downpour during the odd thunderstorm. It is definitely versatile and dynamic. 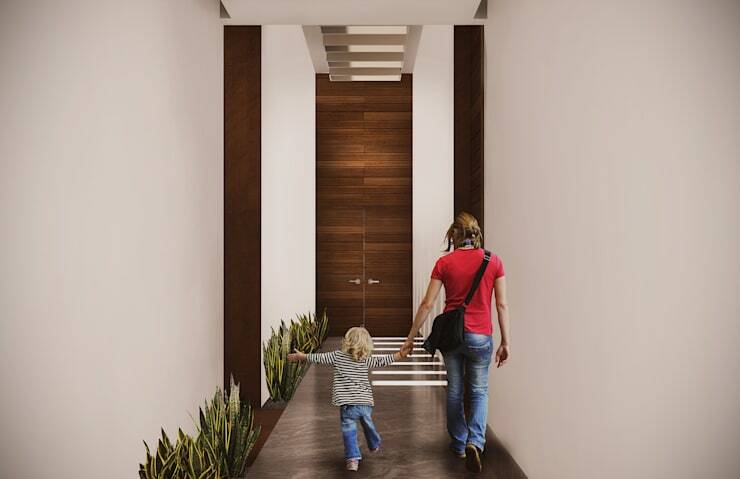 Natural light, a neutral, sober colour palette and striking flooring decorates this hallway in sleek and sophisticated minimalism. Just enjoy the island vibes with this terrific tropical inspiration. 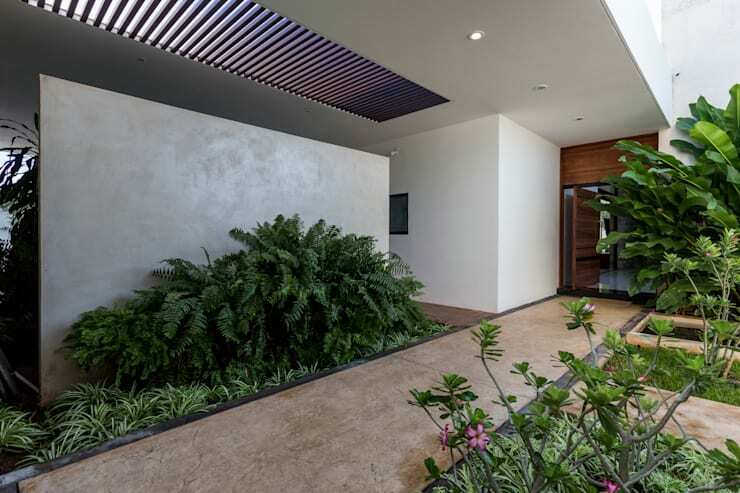 The ceiling and corridor lead the way to entrance, attractive plants line each side of the pathway for a natural element that is just stunning. Have a look at these 12 creative and affordable ideas for your patio or garden. Do you have a favourite feature for your home?